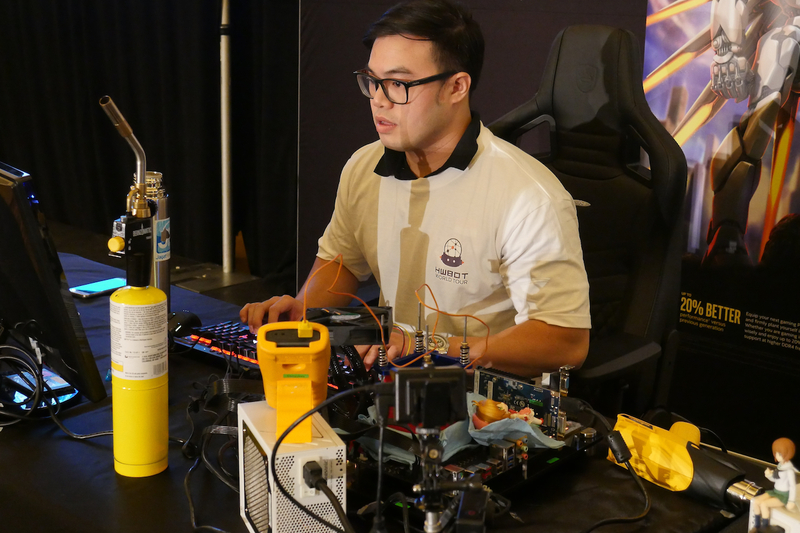 The format of the Overclocking World Championship Qualifier will be identical at each of the World Tour locations this year. All Overclockers will be given unlimited access to LN2 and the task of trying to achieve the highest scores possible on a number of predetermined benchmarks. The final day of the event will involve the top four highest scoring Overclockers competing head to head in 1v1, 30 minute benching sessions. These will include two Semi-Finals, plus a Bronze Final and a Grand Final to decide the winner. The first day of the OCWC Qualifier Las Vegas 2017 contest took place at the GIGABYTE Suites at the Caesars Palace casino in Las Vegas. Eight Extreme Overclockers were in attendance with unlimited LN2 on hand. In terms of hardware all Overclockers were given a Kaby Lake Core i7 7700K processor and a GIGABYTE Z270X-Gaming SOC motherboard thanks to sponsors Intel and GIGABYTE. Seasonic, as official power supply sponsors of the World Tour, provided Snow Silent 750 PSUs for all stages of the contest. Read the the full and detailed roundup article here on OC-ESPORTS. If you have never attended an overclocking event then check next years event out. This year’ event was my first and I loved it. I think you will too.